New York Super Lawyer in 2015, 2016, and 2017. His AVVO rating as a Top Immigration Attorney is currently ranked as “Superb.” He also received the AVVO Client’s Choice in 2016.
have been recognized by Super Lawyers and much more. And also, named top lawyers by various honorary organizations. In addition to English, staff members also speak Creole, French, Italian, Korean, Spanish, Tagalog, and Visayan. Areas of Expertise Include Immigration Law, Construction Accident, Personal Injury Law, Criminal Defense, Matrimonial & Family Law, and Tax Law. Every day,Spar Bernstein, P.C. helps people deal with every aspect of the immigration process. We resolve confusion, ease anxiety and work aggressively to address our clients’ immigration problems. The firm was founded in 1958, by Harry Spar, one of the original members of the American Immigration Lawyers Association. 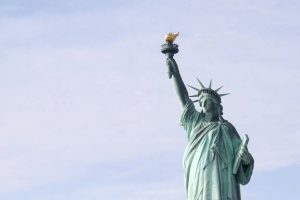 It concentrated initially on the United States immigration law. Over the years, Law Offices of Spar Bernstein, P.C. has excelled with handling all phases of immigration, including permanent residence, green cards, corporate immigration, family immigration, violations of immigration law, work, training and investor visas, and deportation defense. Of course, immigration can cause confusion and tremendous anxiety. When people are forced to deal with the maze of immigration laws and the seemingly endless documentation; they know that making one mistake (for example selecting the wrong box on a government form) could irreparably alter their life. 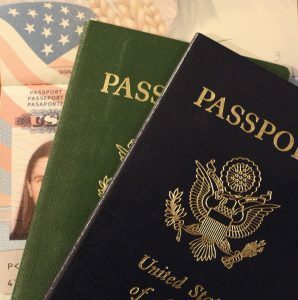 That one mistake could cause a person to be denied a green card, lose his or her job, be barred from traveling or ultimately, face deportation. Spar Bernstein’s expertise and attention to detail will ensure that we relieve your stress and anxiety during this grueling process. When a client’s problem feels unique and unconquerable, it is likely we have seen it and resolved it many times before. We’ve helped more than 70,000 people. Clients who are facing every conceivable immigration problem and disappointment come to us for honest answers and trusted solutions. This is what the experienced immigration attorneys of Spar Bernstein, P.C. provide. Our processes and procedures are designed for speed and efficiency. Right away, applications and affidavits are prepared, instructions are issued, and a case team is quickly assigned. We understand the importance of clear communication. Our clients become part of the team and full participants in their cases. At every stage, clients are kept fully informed, and we take great care to ensure our clients thoroughly understand every issue. Our lawyers are known not just for their comprehensive knowledge of immigration law, but for their empathy and compassion in the face of all immigration problems. People come to us in distress, but as lawyers, we lift burdens off their shoulders. Immigration laws in the modern day are volatile, and continually being changed or trying to be replaced. Brad Bernstein has a live show in which answers immigration questions live with 100% honest answers. Hosted by Brad Bernstein “Brad Show Live” has been assisting immigrants in the Greater New York area since 1998. I understand and agree that submitting this form does not create an attorney-client relationship and that the information I submit is not confidential or privileged.